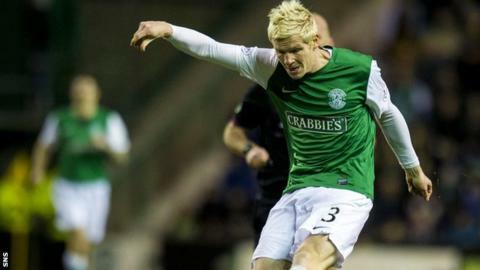 Port Vale have signed Hibernian and Northern Ireland defender Ryan McGivern on a two-year contract. The Valiants negotiated a release from the remaining 12 months on McGivern's contract following Hibs' relegation from the Scottish Premier League. The 24-year-old made 70 appearances for the Easter Road club after originally joining on loan from Manchester City in August 2012. He signed a two-year deal last year under then Hibs boss Pat Fenlon. But new Hibs manager Alan Stubbs has decided to let the full-back leave as he rebuilds for the new Scottish Championship season. Newry-born McGivern's move to Hibs was his sixth loan deal since signing professional forms with City in 2008, having made 68 appearances in English league football with Morecambe, Leicester City, Walsall, Crystal Palace and Bristol City. He is the second arrival of the summer at Vale Park, following the arrival of Colin Daniel from Mansfield Town.